Boy, what a rough time for SANDAG! Scandal, media exposés, resignations, state interventions… it’s serious. Along with representatives from all 18 cities plus the county, I sit on this county-wide transportation agency’s board. Given my relatively short eight-month tenure on SANDAG, I don’t have much personal historical knowledge of the agency’s operations. But I’m learning lessons about things to avoid during my time in government service. Before I share those big-picture lessons, here’s a quick rundown on what happened. Fourteen years ago, a cut-and-paste error was made in a SANDAG forecasting model and subsequently carried through multiple iterations of projections about our region’s anticipated job, wage and sales tax growth. The result was an estimation that a sales tax measure on last election’s ballot would have raised $18 billion for transportation projects, when in reality it probably would have raised closer to $14 billion. The difference between these huge sums is likely to be almost incomprehensible to the average person. The sales tax measure failed anyway, after the board itself split and major interest groups, including the Democratic and Republican parties, opposed it. The sales tax measure’s failure didn’t have much to do with the forecasting error, which wasn’t widely known at the time. The error wasn’t discovered and made public through internal processes, but rather by persistent and dogged investigative reporting led by the Voice of San Diego. 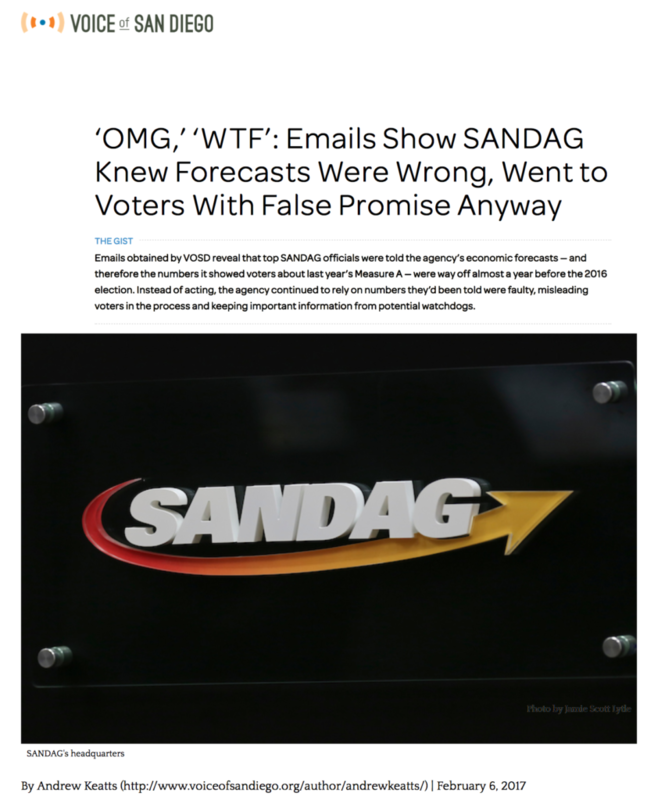 SANDAG struggled to get in front of the slowly unraveling scandal with denials, reluctance to share documents in response to open records requests, and a degree of self-righteousness in insisting that humans make mistakes and that projections 40 years into the future are by nature imprecise. A state legislator, Assemblywoman Lorena Gonzalez Fletcher, has proposed a state bill, AB805, which would change the way SANDAG is organized and operates. When her staff spoke to the Encinitas City Council several months ago, there was no question that the bill’s goal is to accomplish policy changes – more focus on transit, less on roads – as well as better internal controls and a shift toward more concentration of decisionmaking authority in the south county. Supporters of AB805 point to the forecasting problems and SANDAG’s approach to the unfolding scandal as reasons for reform. However, it’s pretty clear that the changes made by AB805 couldn’t have prevented this unintentional, human error. Under a different internal auditing approach, however, the problem might have been detected sooner. No matter how well-respected and tenured he or she may be, don’t rely on one professional’s opinion when there are many voices saying something is wrong. The executive director’s over-reliance on a storied chief economist led to delays in discovering the error, which compounded the problem and has led to lack of confidence in the agency’s judgment. Well-functioning agencies should be successful. When other counties in California can pass sales tax increases to fund transportation, we should be able to accomplish that too. Failure to create success leads to calls for change, despite the internal perception by some board members that SANDAG is a model of regional cooperation. Nothing is more critical than the core mission. If SANDAG’s mission is to improve transportation, it had better figure out how to successfully fund transportation to deliver on that mission. Sunshine is good. As a former Associated Press journalist I already knew this, but the light shined by Voice of San Diego led the board to commission the outside investigation, which laid out the facts and created recognition that the current leadership at SANDAG had lost credibility. Without an open, robust and free press, we wouldn’t be where we are now. Governing toward compromise is and will remain tremendously difficult, especially with ideological fissures such as transit vs. roads, small city vs. large city, urban vs. rural, and Democrat vs. Republican. The ability of the executive director to manage these conflicts, which simmer just below the surface, and deliver results will define his or her success. There are endless news articles about SANDAG but I’m going to link to only two: first, the independent investigation by the law firm of Hueston and Hennigan. It’s riveting reading, actually, if you want to know how this whole thing happened. The executive summary alone gives a great primer. Second, this news story from Voice of San Diego that lists SANDAG’s many accomplishments, which are true improvements in our county, in addition to giving the latest on the executive director’s resignation, which is now happening much sooner than he originally announced. 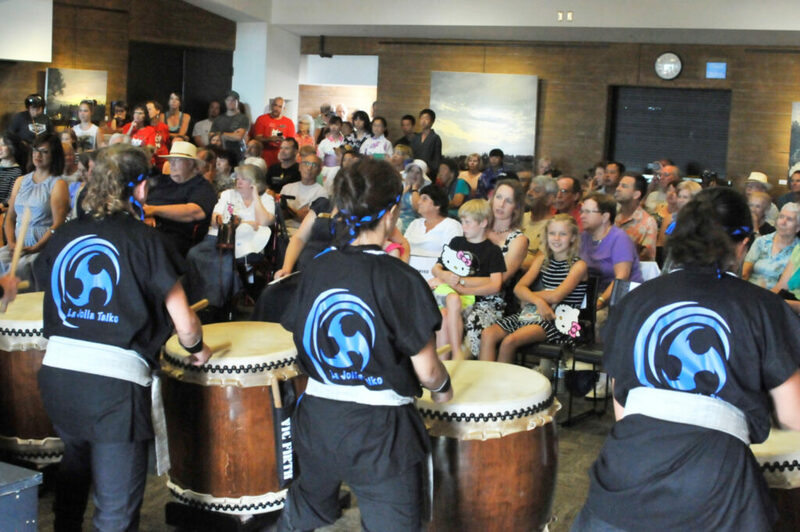 The energetic Taiko drumming performance at the Encinitas Library as part of the Japan Festival. I was thrilled to both welcome and bid farewell to students from Amakusa Japan, our sister city. I’m very proud of this ongoing, robust relationship with another city similar to ours in many ways. 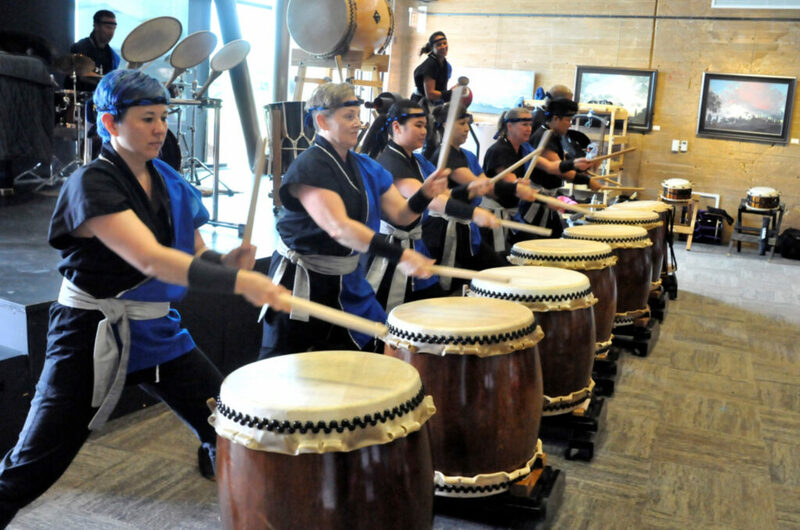 Encinitas families send students to Amakusa, Japan, one year, and the next year Japanese families send students here. While they are here, we take them to fun events, and they live with host families. Our sister-city relationship has thrived throughout 30 years of City Councils, mayors and staff members in both cities, without being discontinued. This shows the program’s ongoing relevance. 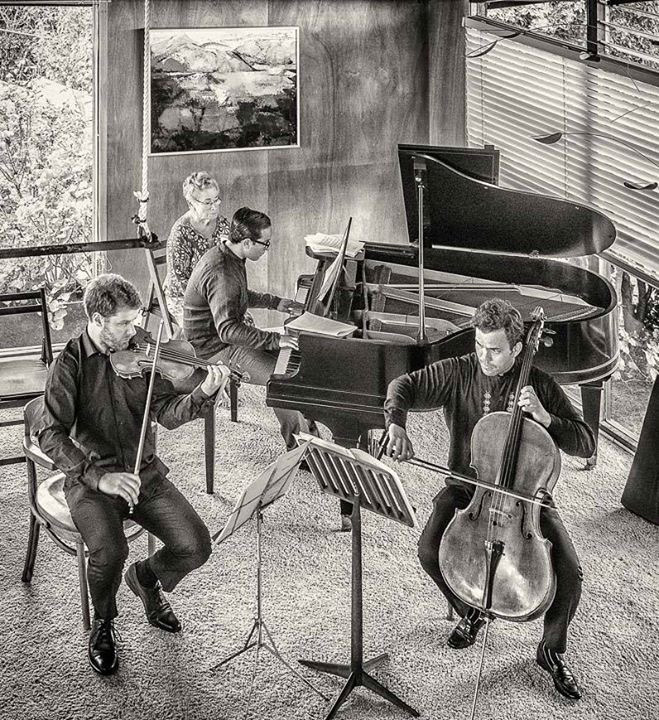 The program is a reflection of our city’s commitment to cultural resources, a recognition of the value of other cultures and how they contribute to ours, along with a broad-based view of the world. There is no better way for the next generation of leaders to understand differences and similarities than traveling to a different country. It was a joy to participate and see the robust participation of so many Encinitas residents in making this a success. Here’s the story from the Encinitas Advocate. The next version of our housing plan is coming along great! We’re eliminating sites from last year’s voter-rejected plan to upzone fewer parcels, better manage the inventory so we don’t create a rush toward development, and produce a lower number of overall upzoned units. A remarkable element of the new plan is that it’s accomplished with smaller two-story housing units instead of three stories. This Encinitas Advocate article has a lot more details about the newest plan. The goal of this effort is to create a housing plan that meets state law that the community will accept. Here’s a story from the Coast News on the city’s priorities, with a state-certified housing plan topping the list. We are moving forward with plans to permit building a rapid charging station in the city’s lower parking lot. More information in this Encinitas Advocate article. The Cardiff sand dune project is being reviewed by the Coastal Commission. Here’s the Coast News article. Congratulations to the 13 Encinitas boys competing in the Junior League Baseball World Series this weekend! This is a major accomplishment and we’re very proud! More information is here from the Encinitas Advocate. I’ve been writing these e-newsletters for about three years now, and over that time, my approach has shifted. Previously I felt the need to be comprehensive about covering all the topics on our City Council agenda. Now I enjoy sharing more deeply with you on the most important topics, including greater insight into the thought process. I hope you continue to find these letters of value, and as always, I welcome your comments and feedback! 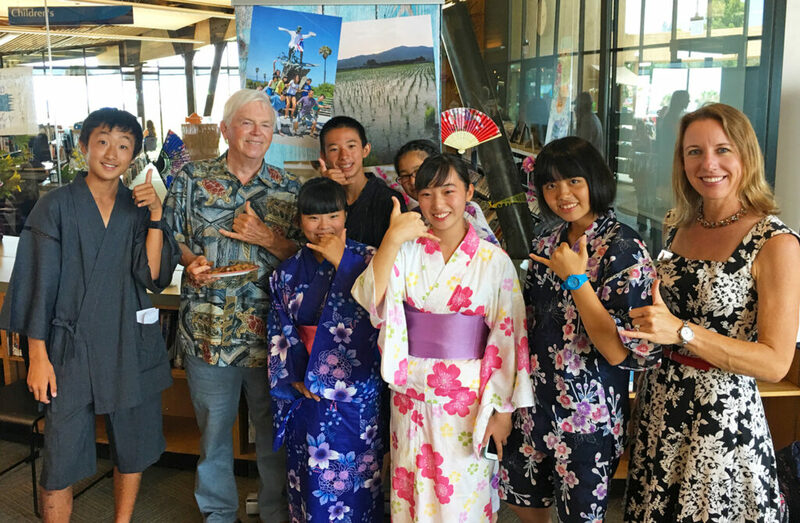 Together with Rick Shea, one of the city’s earliest elected officials who helped found the Sister City program 30 years ago, I’m celebrating with the students from Amakusa Japan.